As some of you may or may not know, this site Blue Jay Musings is a member of the Baseball Bloggers Alliance, every spring the site Cards Conclave send around what they call Playing Pepper, a questionnaire to bloggers of every team in Baseball about their view on the off-season and questions about the upcoming season. So without further ado here is our version of Playing Pepper. 1) What are your thoughts on the team’s off-season? Did they do what they needed to do? The biggest question marks going into the off-season where second base and the bullpen. They didn’t necessarily address those needs quite the way most Blue Jays fans wanted too. 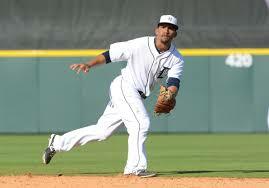 At second base they acquired Devon Travis who was a highly thought of prospect with the Tigers, but, he’s still just a prospect who will likely start the year in Buffalo. Maicer Izturis is looking to bounce back from missing almost all of last season with a knee injury and if he can show that 2013 was a fluke then he should bring some offence to that position. As for Ryan Goins, sure he’s a plus defender at second, his bat still hasn’t developed to the point where he deserves Major League At Bats. Alex Anthopoulos passed on the bullpen arms in Free Agency this winter and I like the fact that they didn’t bite on the asking price for some free agent arms. 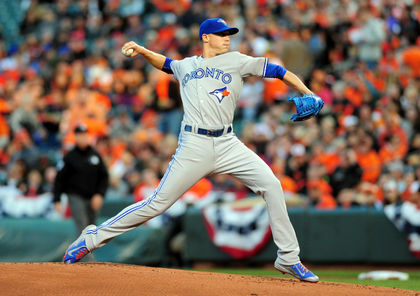 Don’t forget, the Blue Jays’ pen was one of the better one’s in 2013 and bullpens are one of the more trickier positions to fill on a team because of the uncertainty year to year. I would expect the Blue Jays to be able to build the bullpen in house and probably the best thing for the pen would be if Aaron Sanchez is in it. Did they do what they needed to do? in some ways yes and in some ways no. 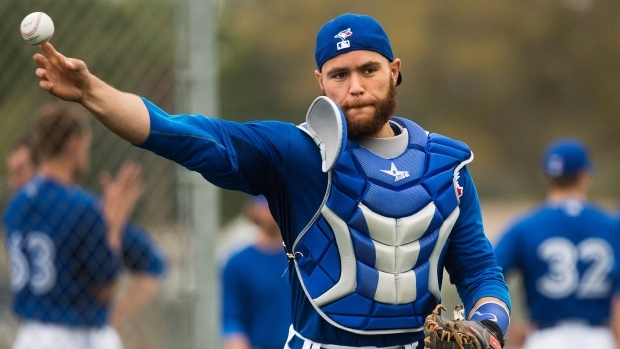 The Russell Martin signing is a huge upgrade behind the plate and he will do wonders working with the young arms in the Blue Jays rotation. Josh Donaldson was also a huge acquisition, nothing against Brett Lawrie who was a great defender, but having a guy that has proven he can stay healthy and that has hit for power playing most of his games in pitcher friendly parks in Oakland and Safeco and is also a plus defender and has playoff experience is huge for a team like the Blue Jays that have play-off aspirations this year. 2) So how will the off-season GM drama affect the team, if at all? The Dan Duquette-Ed Rogers-Paul Beeston drama from this past winter won’t have any affect on the team on the field. We probably won’t hear anything about a new president until November which is after Beeston’s contract is set to expire and he will head off into retirement. Easily the offence, with a 3-4-5 combination like Jose Bautista, Edwin Encarnacion and Josh Donaldson they have arguably one of the best 3-4-5 combinations in all of baseball. Russell Martin should be able to put up similar numbers to what Melky Cabrera put up last season and I think Michael Saunders could be a nice addition to the line-up. Lets also not forget about Dioner Navarro who will be a nice bat off the bench and can fill in at DH and catch when Martin is not in the line-up. Marcus Stroman, I know he had a helluva of a rookie season with the Blue Jays, but I believe that he will only get better this year. Another year under the tutelage of Mark Buehrle will help as well. It should be interesting to watch Stroman develop this year and see his sinker that he worked on when he entered the rotation last year get even better. I honestly think that Stroman has ace potential and will be a stud for years to come. I think the Blue Jays will finish anywhere between 85-90 wins and with all the question marks with every other team in the AL East I think they have a really good chance to win the division. I do believe that this will be the year that they end their 21 year postseason drought this October. That offer seems a bit low if it is true, I said earlier in the summer that 3 years at 45 might be enough to get it done in the end but at this point it seems like the Jays won’t get Melky back unless the offer goes up. The Blue Jays released their Spring Training Schedule on Wednesday. They start their Spring Schedule in Dunedin against Pittsburgh and close out their Spring Schedule with a pair of games against Cincinnati at Olympic Stadium in Montreal on April 3rd and 4th. The Blue Jays have 33 games scheduled as well as three split squad games. For those of you that will making the March Break trek to Florida in March the Blue Jays only have a pair of games scheduled for Dunedin that week, March 18th and 19th against Tampa and Boston. And lastly on this Thursday afternoon, Bluebird Banter has put together a handy little guide on what Blue Jays on the 40 man roster have options and it also includes their outright statuses as well, it’s a must for any Blue Jays fan to bookmark so they can keep tabs on the Jays roster movement as this winter progresses.